Full-service design studio creating web and print designs for this very ‘cool’ B to C client. Branding, web design, WordPress development, and advertising. Also offering video production, social media marketing and SEO services. 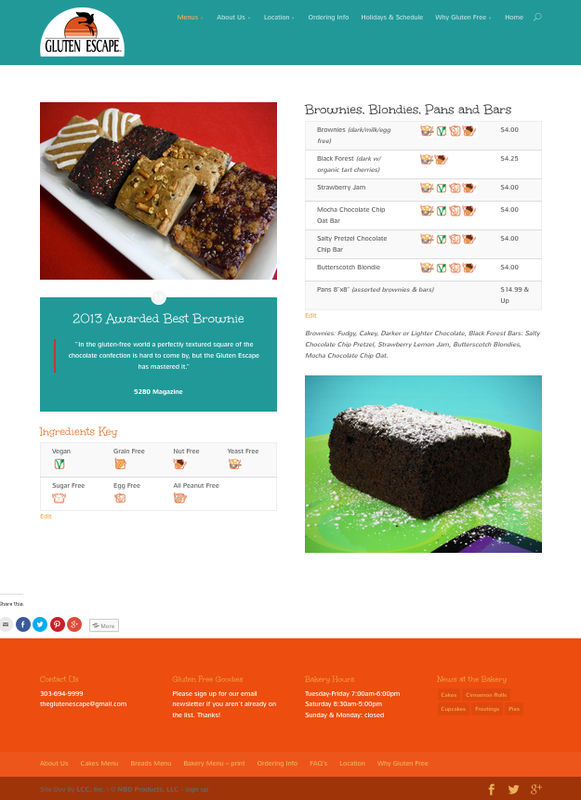 LCC, Inc. has produced the Gluten Escape Specialty Bakery website and product packaging. We continue to assist with studio food photography and branding for a Gluten Free Specialty Bakery located in Denver Colorado. The social media news feed posts directly on their website from Facebook. Visit http://theglutenescape.com launched May 2015. Lucy is in process of designing the product line for gluten free flour sold exclusively by The Gluten Escape.